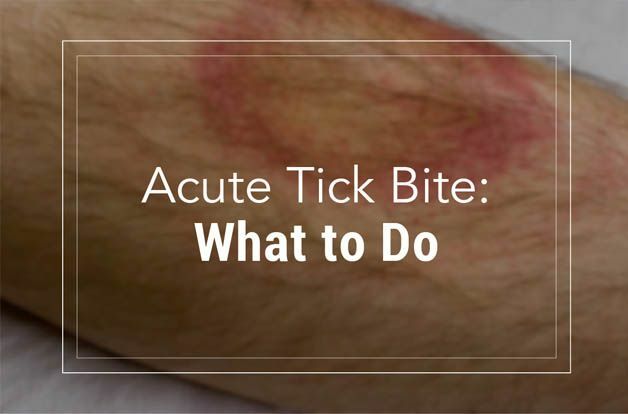 The official CDC (Center for Disease Control) recommendation for management of acute tick bite includes use of antibiotic therapy only if symptoms are present (fever, fatigue, joint pain, muscle pain, malaise, rash, bull’s eye rash). The concern is that treating too early could delay onset of disease and interfere with adequate treatment. This stance, however, is controversial. All ticks carry microbes, and individuals who are asymptomatic initially can develop chronic disease or become chronic carriers and develop relapsing illness later if immune function falters. At risk individuals (absence of robust health) may want to consider a course of antibiotics and herbal therapy after an acute tick bite. For frequent tick bites, continuous herbal therapy may be the best option. The standard treatment for acute symptomatic tick bite is doxycycline 100 mg started at the onset of symptoms taken twice daily for 21 days or until 3 days after symptoms subside (or 4 mg / kg in children >8 years, but no doxycycline in children < 8 years). If symptoms indicating early Lyme disease are present, including EM rash (bull’s eye rash), amoxicillin 500 mg three times daily (or 50 mg / kg in children < 8 years) or cefuroxime 500 mg twice daily for 14-21 days ( or 30 mg / kg in children < 8 years) should be added. Severe illness including neurologic or cardiac symptoms should be managed more aggressively, potentially with IV antibiotics (see CDC website for complete recommendations). There are not contraindications to doxycycline. Whether this is truly valuable or not is unknown. Ehrlichia, anaplasma, and babesia are the most virulent of the coinfections and are associated with the highest potential for acute severe illness. Rocky Mountain Spotted Fever, caused by Rickettsia rickettsii, can also cause very severe illness. The tipoff for severe acute infection with these microbes is high fever. If high fever occurs with history of tick bite, antibiotic therapy should be started immediately to prevent long term complications. Herbal therapy alone should never be primary therapy for these potentially life-threatening conditions. Fortunately, doxycycline covers for borrelia and the known coinfections with the exception of babesia. Therapy should be continued for at least 21 days or until 3 days after symptoms subside. Failure to respond to antibiotic therapy is an indication that babesia is present or an antibiotic resistant microbe. In veterinary medicine, an antibiotic called metronidazole is commonly used with doxycycline to treat canine babesiosis. Metronidazole may provide a safe and well tolerated alternative for covering the possibility of early mild infection with babesia in humans (metronidazole is commonly used for protozoa and intestinal bacterial overgrowth in humans). The dose of metronidazole is 500 mg taken twice daily for 7 to 14 days. Clindamycin, an antibiotic commonly prescribed for Lyme disease coinfections, should be avoided when administered orally. Clindamycin is commonly associated with overgrowth of Clostridium difficile in the gut. Overgrowth of C. diff. causes severe bloody diarrhea often requiring hospitalization. Clindamycin should only be used topically or intravenously. It should be noted that antibiotic therapy will not eliminate all of the microbes; it just helps to give the immune system the upper hand. After the microbes have disseminated into tissues, antibiotic therapy is less likely to eradicate the infection. Studies have repeatedly shown that long term use of antibiotic therapy offers no benefit. At least half of people with an infected tick bite will develop fatigue and migrating arthritis within weeks to months after completing antibiotic therapy (so called post-Lyme syndrome). Repeat antibiotics generally provide transient benefit or no benefit at all. All of the recommended protocols depend on development of symptoms to initiate therapy. At least half of people never exposed to a tick-borne microbe from a tick bite never develop symptoms. Many of these people will become active carriers for borrelia and/or coinfections. They can become ill at a later time if immune function falters for any reason. You can (and should) hedge your bets. Herbs can safely be taken concurrently with antibiotic therapy. Herbs are also a good option for asymptomatic tick bite (all ticks are carrying something, whether you develop symptoms or not). Herbal therapy has the advantage of both suppressing microbes and enhancing immune function at the same time. Herbal therapy is most beneficial when high doses of a herbs with different medicinal and antimicrobial properties are taken simultaneously. Herbs can be safely continued for an indefinite period of time beyond antibiotics without concerns for causing harm. Andrographis offers antiviral, antibacterial, and parasitic properties. Numerous clinical trials have demonstrated its ability to reduce the length and severity of common viral illness. Other benefits include liver protection, immune enhancement, and cardioprotective effects. Cat’s Claw has long been used traditionally to treat microbial illnesses. It offers antiviral, antiparasitic, anti-inflammatory and antioxidant properties. It may also provide benefit for arthritis and stomach ulcers. Sarsparilla offers anti-inflammatory, antioxidant, and antibacterial properties against gram-negative bacteria. Sarsaparilla also binds up endotoxins produced by microbial die-off, which lessens the severity of Herxheimer reactions. Berberine is the active component of many different medicinal herbs. It offers antiparasitic and antifungal properties, and is also beneficial for liver and cardiovascular function. Allisure AC-23 Garlic is a patented extract that has potent broad-spectrum activity against bacteria. This high-grade garlic is also beneficial for chronic fungal infections, cholesterol and blood pressure reduction, and increased blood flow. Ten years of clinical practice has shown that people who take herbal therapy (with or without antibiotics) after tick bites are less likely to develop symptoms later. Herbal therapy is also effective for controlling post-Lyme syndrome symptoms. Acute and/or severe symptoms should, of course, always be treated with antibiotics. 2. Wormser et al, The Clinical Assessment, Treatment, and Prevention of Lyme Disease, Human Granulocytic Anaplasmosis, and Babesiosis: Clinical Practice Guidelines by the Infectious Diseases Society of America, Clinical Infectious Diseases, 2006, 43(9), p.1089-1134.